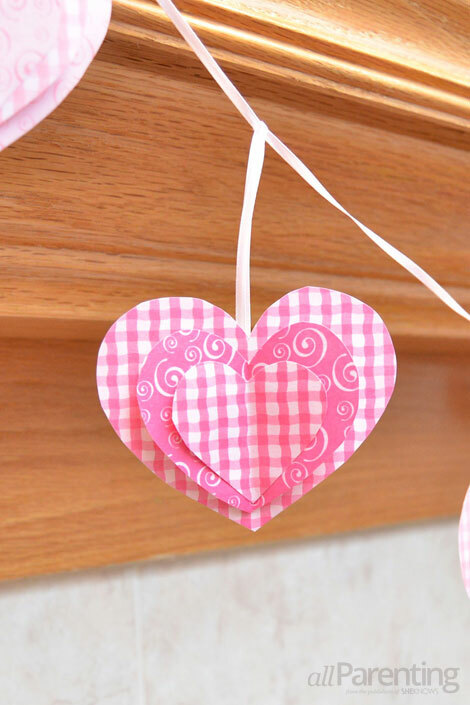 Garlands are a lovely decoration for any holiday, but this 3-D paper heart garland is the perfect decorative touch for your home this Valentine's Day. I just love the way that Valentine's Day decorations add brightness and cheer even in the middle of a cold and dreary winter. And a punch of color and whimsy to your home with this adorable DIY paper heart garland that you can easily whip up in time for Valentine's Day. 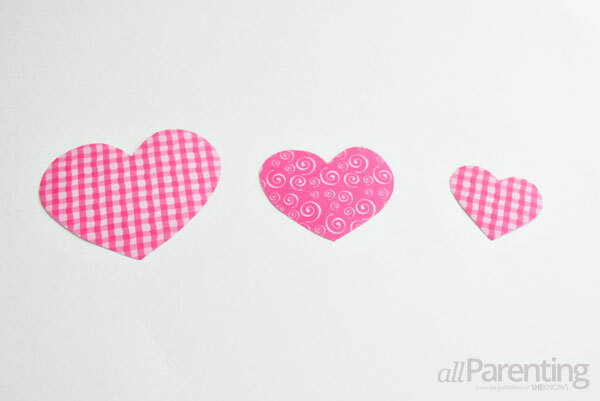 Draw and cut out small, medium and large heart shapes from a piece of card stock. 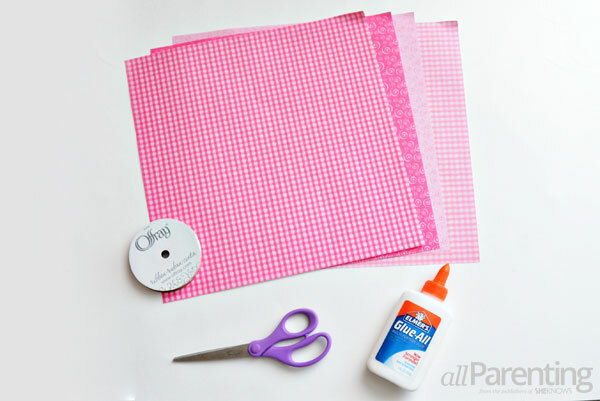 Trace the card stock templates on the scrapbook paper, then cut out a small, medium and large heart. 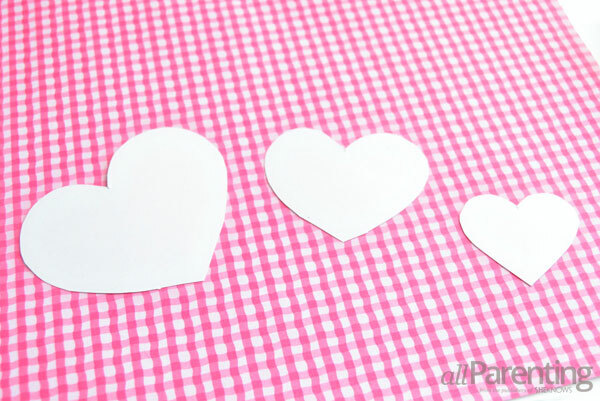 Cut out the large and small heart shapes from one pattern, and the medium heart shape from another pattern. Lay the large heart shape flat on your work surface. Pick up the middle heart shape and fold it in half. 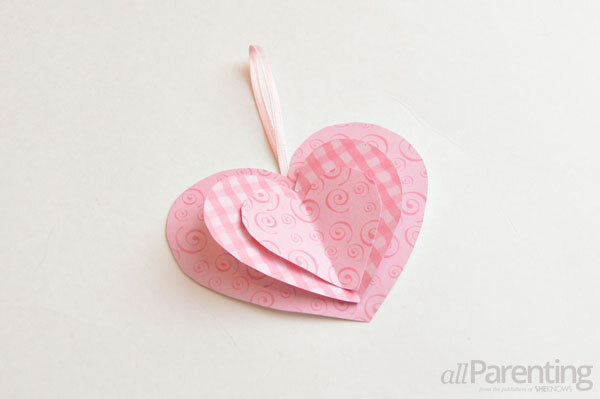 Run a line of glue along the crease on the back of the heart, then place the medium heart on top of the large heart. 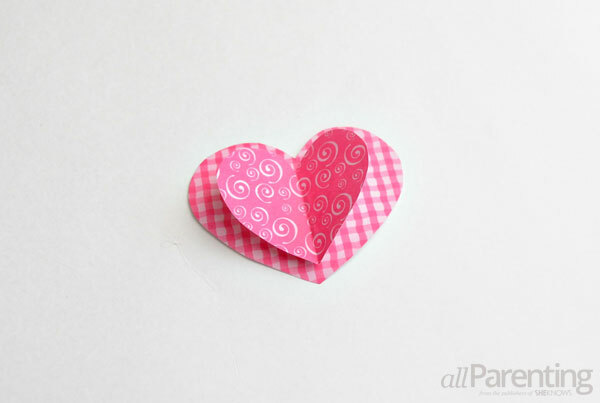 After the glue has dried, repeat the previous step by gluing the small heart on top of the medium heart. 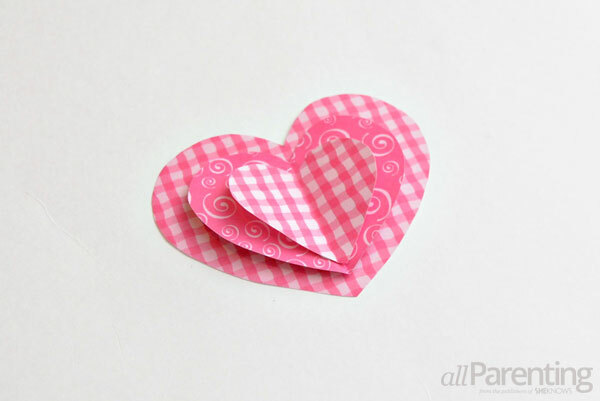 Cut a 4-inch piece of ribbon, fold it in half, and glue it to the back of the 3-D heart. Repeat these steps to make at least 1 dozen hearts. Cut a piece of ribbon that is several feet long. Slide the loops attached to the paper hearts on the ribbon. Use a dab of glue to keep the ribbon from sliding around. 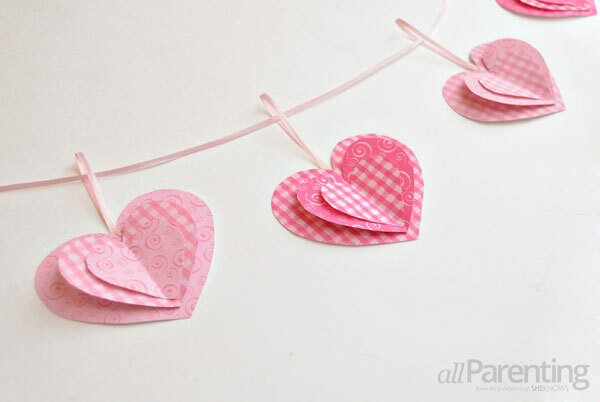 Once the glue is dry, your 3-D paper heart garland is ready to hang!